Sensitivity in Medicine – Really? Besides, should we really be treating health care like a battle zone? Come on. Lets get serious here. Resilience and toughness builds barriers between people. It creates hardness, coldness, efficaciousness, and distance between people. There is no care in resilience, nor love in hardness or toughness. Perhaps toughness is required for the battlefield where truly awful things are seen and done to other people, but health care is about people; specifically, the profession has the word ‘care’ in it…..
How can we care for others when we are hard, tough, strong and have created protective barriers between us and others? People when they are ill, are they seeking tough hard doctors? If they are like you or me, they are feeling vulnerable, and as well as expert advice they seek caring and nurturing, if not love. It is more than information that we seek in life, particularly when we are ill, it is that care and love that we seek and that truly supports us in life. As health care professionals, if we put barriers between us and people we shut down our care, and doing that not only shuts down our care for others, but our care for ourselves also. It is our sensitivity that we need in health care, not hardness or toughness. Sensitivity is our greatest strength and asset, although our training has told us otherwise. Sensitivity allows us to sense what is really going on for that person, and what is really going on for us. Sensitivity allows us to have great awareness, whilst still keeping us open. Many of us feel that when we care we start to take on and get overwhelmed and burdened by the ills of others and perhaps seek to harden and toughen up so as not to feel the enormity of what it is that we are dealing with on a daily basis. But perhaps it is our misconceptions of what we have been told care is that makes this happen? Care is not taking on other people’s issues and sufferings; it is a presence, it is the way that we are with ourselves in our own bodies that we take with us everywhere. It is not possible to care for another, without having that care in your own body. What goes out, has to come from within, so it must be in us first before it is expressed to another. Our sensitivity allows us to love, to care and connect with people, including ourselves. It allows us to feel when we are hurt and affected by something and then to understand and learn from our reactions. It is this that makes us truly stronger, developing understanding through sensitivity, not the toughening up. And this is what we need in medicine – our sensitivity. When we toughen up we are numbing ourselves to what we are feeling, but our bodies still experience the situation – we are just in denial about what it is that is affecting us. This can lead to suppressed emotional trauma. Being sensitive allows us to sense what is going on for another, it allows us to be more tender, caring and loving in our touch, and less hard. It allows us to deepen our respect and understanding, not just of others, but for ourselves and our colleagues. Being sensitive doesn’t mean that somehow we lose our intelligence, but rather it allows us to access facts, without getting caught up in the maelstrom of it all. Being sensitive doesn’t mean that we spend all day long a blithering mess with a box of tissues unable to function because we are so upset about things, although of course, being sensitive may mean at times that we cry, and that is actually ok too. After all, we are human – even though we have a medical degree (!) – not inhuman super beings, nor do we need to act as though we are. We are all naturally sensitive, caring people, and it is exhausting trying to shut all of that down. Our sensitivity helps us to feel and to understand life. It allows us to be tender, and to be connected with our caring and loving natures. Being sensitive allows us to be open to others, so that they can feel cared for too. In medicine, as doctors and health care professionals, we are very sensitive caring people, and we feel a lot. We can get overwhelmed by what we are feeling, particularly because we don’t have the solutions that we are expected to have for all of the health care issues. But the issue and problem is not our sensitivity and our caring – it is the fact that we shut it down. Shutting down our sensitivity creates barriers between us and our patients. It lessens the true care that we can provide people when they come. It creates a hardness and impersonal way with our bodies, and then with our touch to our patients. The quality of touch is everything when dealing with people. A hard, rough impersonal touch puts people on edge, and on guard, even creates fear. It does not calm, it does not nurture, and it does not truly support or truly reassure others or make them feel safe. A sensitive caring touch builds trust. Shutting down our sensitivity harms us and we shut down to what it is that we need to take care of ourselves and to nurture ourselves. When we don’t take care of ourselves and/or nurture ourselves, this leads to disharmony in our own bodies, beginning with tiredness and then leading to stress and illness. Shutting down our sensitivity means that we are not aware of what we are feeling, which means that we don’t get to heal why we are being affected by things. This means that daily and ongoingly we are affected by the same thing, building more ‘toughness’. Awareness is the key to our emotional well-being. I put it to us that it is not the overwhelm of the patients that makes us tired by the end of the day – if not 1 hour into the consulting day! But much of it is the fact that we invest energy in shutting down our sensitivity in order to ‘survive’ the day, trying not to feel what we are feeling, trying not to feel or show that we feel, as that is how we have been trained. Unless we deal with what we are feeling, we are going to continue to shut ourselves down, and we will not heal what we need to heal about what we are feeling. If we allow ourselves to be sensitive we may surprise ourselves as to how well we feel in the day, and how intimate and caring our relationships are with our patients. Who knows, our practice of medicine may become truly about people and far more enjoyable, beginning with ourselves as people first. ← Refugee – or Person? Thats great to hear Sue. Thanks for sharing with us the difference it makes to receive care from a sensitive doctor. Can I ask, how did you feel that sensitivity, in what way was it expressed? 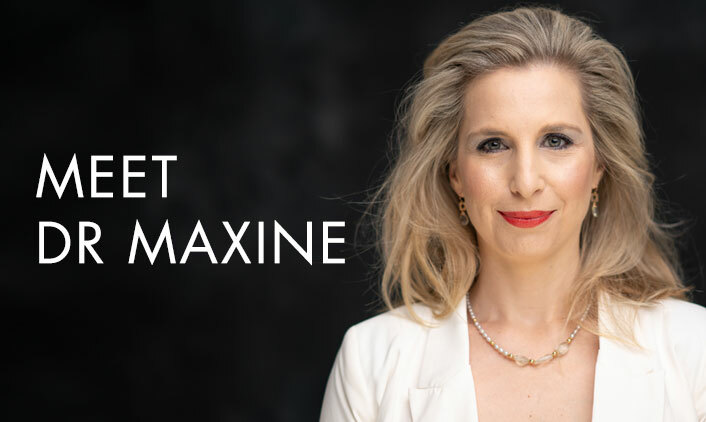 One of the things that you shared Maxine that I feel is super important is the fact that if we shut down our sensitivity, which is who we very naturally are, we become exhausted and then sick. This is not often what we think. We often bring it back to…”oh it’s shift work or workload”. Certainly what I have found is that if I am open and my natural sensitive self, whatever my workload is, I don’t take it on, I accept that is my day and I will complete that to the best of my ability and as you have said I am much more sensitive to what is going on around me and for me too. It’s crazy that we think being sensitive is a bad thing. I know that that is one urban myth that is well worth busting. Thanks for writing on this Maxine. Agreed, emphatically so, Jennifer. Let us blow this one out of the water, because we as health professionals are inevitably going to require care at some point. We have the choice to make about being that sensitive, caring person for ourselves and others now, or later – when we receive ‘less than care’ from some of the tough, busy and hardened individuals out there. Thank you for your voicing these issues – ones that inevitably affect every single person in a caregiving role. To ensure the sustainability of our care and to protect ourselves against burnout and “compassion fatigue”, our sensitivity and awareness are the guiding light to ensure we nourish our own selves deeply, such that others continue to receive what we offer in and through our service roles. We are all sensitive and caring people and this clash occurs when we attempt to hold it back. I say attempt because no matter how hard we try it’s like the body just wants to feel regardless of our choices, we can’t hold back our feelings they are obvious and in our faces everyday. Accepting our feelings and sensitivity is a huge healing in itself because with that acceptance we don’t fall into the behaviours that can run us down, abuse or break the body. I love this part Leigh ‘the body just wants to feel regardless of our choices,’ The body is so wonderfully in charge. Imagine if we really listened. Being sensitive is deeply intelligent and so desperately needed in the medical industry. People want to feel like their doctor cares, understands and is human not a machine. ‘Resilience and toughness builds barriers between people.’ and this never supports anyone to heal. All it seems to do is encourage others to also build higher barriers.